The month of May, we think cannot get any more exciting. We are super happy to be able to bring down the 'Bad Boy Bass', Sound Avtar to the town. Namma city is all set to witness some Drum and Bass in just the right way, on the 14th of May at The Humming Tree. And right before that we had a small conversation with the man himself, Piyush Bhatnagar. About things ranging from the evolution of his music, his take on the current Bass scene in the country, to what we can expect from him in the future. And we also bring to you an Exclusive Mix Set by him, which is just as fine as we'd expected. Piyush, hailing from Jaipur and based in Mumbai at the moment, uses cutting edge music production techniques, creativity and innovation and concocts tunes so monstrous that it’s hard not to take note of this young producer’s earth rattling productions and Live sets. His tracks 'Scattered Light Tunnel', 'Cursed', 'Alarm Symphony' & 'Under the Light' have charted as high as Top 30 on the Beatport Glitch Hop & Dubstep Charts as well as have been featured under “Beatport Must Hear Dubstep tracks” indicates that his blend of diverse drum patterns, heavy bass drops and non- conventional melodies is here to reach out and map the globe with his music. Starting off with Blackhole Recording’s sub label 'Rub-a-duck' Sound Avtar’s productions have graced many labels around the world like HoodFamousMusic, HighChaiRecordings, MonkeyDubRecordings, StraightupMusic, Magik Muzik to name a few. 1. Tell us the story behind the name and your choice of music? A : There isn't a story behind the name as such. I think it was the idea of having a combination of an English and a Hindi word more than anything. Nothing too fancy i'd say. 2. How and when did you discover Bass music? A: I was 17 and my brother had recently moved to Mumbai from Jaipur. At this point, i was already DJ'ing for almost 2 years and had done a club residency for a year or so. During one of my visits to him around the same time, he introduced me to some of the music he was listening to then - Talvin Singh, Badmarsh & Shri. etc. I absolutely loved it and started playing some of this back in my hometown. Sound Avtar happened soon after and so did my choice of music. A year later, i moved to Mumbai as well to pursue diploma in audio engineering from SAE. 3. 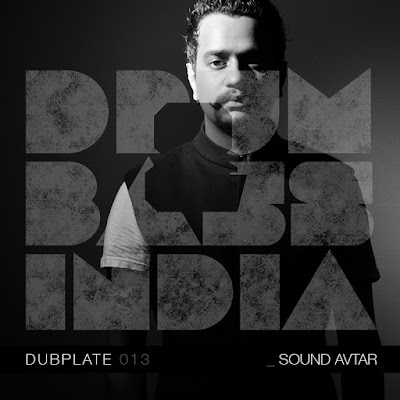 What do you feel about the Bass scene in India and what are your thoughts on its evolution so far? A: I feel it's a great time for bass music in the country, for producers, DJ's and listeners and everyone involved in pushing the culture as a whole. 4. Your style and taste of music has gone through a journey itself over the past few years. Tell us a little about the stages of the your sound evolution and where do you see it going. A: Over the years, i have enjoyed exploring different genres of bass music - from dubstep, DnB to relatively newer ones like drumstep, glitch hop, moombahton. As a producer/DJ, i have been mostly liked pushing heavier sounds - the hard hitting and wobbly sorts, which is something i'm not feeling as much, at this stage. In the last year or so, i have started experimenting with newer sounds in my DJ sets - some haftime hip hop influenced DnB and footwork (bits of it towards the end of my mix set). Moving ahead, i definitely see myself taking influences from these and putting them to use in studio. 5. What can we expect in terms of future releases and what kind of sounds are you looking to produce? A: There is an EP in the pipeline. I'm planning to put that out latter half of this year. I'm playing around between 160-175 BPM at the moment. You can listen to one of the tracks from the upcoming EP in the mix. 6. People may still know from your earlier outfit - Mental Martians, with fellow bass-artist, Sarvesh. Now that you both have your own distinct solo profiles now as Sound Avtar and SickFlip, could we expect another collaboration between the two in the near future? A: Nothing on the cards for now but you never know. 7. What according to you are the pros and cons of being a Bass artist in a country that is still coming to terms with this genre? Any word of advice for the Dj/Producers that are pursuing their dreams in the Bass genre? A: Don't think there is a list of pros and cons. Yes, there are ups and downs, and that's across all not-so-commercial genres when it comes to electronic music in India. The only word of advice for upcoming DJ's and producers would be to provide the unprovided. 8. What is your studio / DJ set-up? 9. Can you list 3 tunes you are feeling right now. A: I land up at the venue and there was no mixer. When asked where the console was, the promoter looked at me and asked "Why do you need a mixer? You can use the AUX chord to play." This happened in Ahmedabad.